America’s foremost exorcist, Theophilus Riesinger, faced off with Lucifer himself in the grueling 1928 case of demonic possession in a rural Iowa convent. I’ve lived in Wisconsin my entire life, researching its fascinating and unexpected ties to the weird, dark corners of history for as long as I can remember. 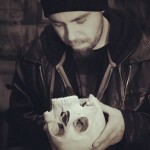 Sometimes it seems this state exists in some kind of anomalous vortex of the bizarre, with a unique concentration of ghost stories, murderous cannibals, circus history, world-famous hoaxes, and incredibly eccentric (or just plain mad) individuals. We have Ed Gein, Goatman, the Beast of Bray Road, pancake-serving aliens, and…famous exorcists. 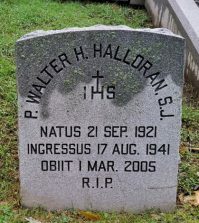 Last fall I discovered Father Walter Halloran, who assisted in the exorcism of Roland Doe in 1949, was buried in Milwaukee. Having weird history like that so close to home is exciting, but it turns out that Wisconsin was the stomping grounds of another even more legendary exorcist, one who participated in a case that shocked the world. 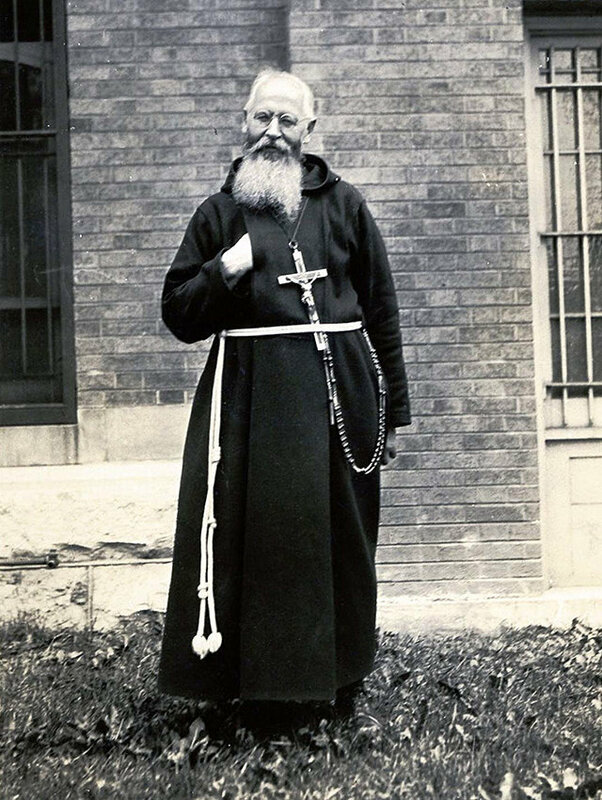 In the first episode of a new podcast called Wisconsinology, historian Frank L. Anderson tells the story of Theophilus Riesinger, a Capuchin friar from Appleton, Wisconsin who became America’s foremost exorcist. Riesinger performed at least 22 exorcisms in his lifetime, but it was the harrowing case of demonic possession in 1928 that became the most publicized case of exorcism in American history. The details, based on eyewitness accounts, were published in the early 1930s in a 48-page booklet called Begone Satan! by Rev. Carl Vogl. It was originally written in German, but when it was translated into English in 1935, the case garnered widespread attention in Catholic publications, newspapers, and even Time magazine. The booklet would eventually serve as research material for author William Peter Blatty, whose depiction of possession in The Exorcist very closely mirrors the events said to have taken place in an Iowa convent in 1928. Father Riesinger performed his very first exorcism in 1912. The subject was a girl from the town of Marathon, Wisconsin who’s name was either Anna Ecklund or Emma Schmidt – she has been written about under several different names presumably to protect her identity. She had begun to manifest symptoms of demonic possession when she was just 14. Riesinger, who would became known as a “potent and mystic exorcist of demons” as noted in the February 17, 1936 issue of Time, was called upon to perform the rite. Riesinger drove the demons out of the girl and went on to help many others he believed were in need of spiritual cleansing. Many years later, in 1928, Emma was in her 40s and found herself once again experiencing symptoms of demonic influence. While preaching on mission at St. Joseph Parish in Earling, Iowa, Riesinger made an unusual request of Rev. Joseph Steiger. Riesinger wanted to bring the possessed woman from Wisconsin to Steiger’s rural parish to perform an exorcism where it would avoid drawing unwanted attention. 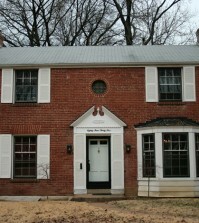 Steiger agreed, and the woman was brought to the Franciscan convent just outside of town. When asked how many spirits had possessed the woman, she responded that there were many, and that Beelzebub was the leader. Under Riesinger’s questioning, Beelzebub stated that the woman’s own father was the cause of the possession, having “cursed” the spirits into her, and that they had possessed her under the command of Satan himself. At one point, when Riesinger was asking to speak with the woman’s father, whom Beelzebub said was with them, a voice claiming to be Judas Iscariot began speaking instead. When Riesinger asked what business he had with the woman, Judas replied, “To bring her to despair, so that she will commit suicide and hang herself! She must get the rope, she must go to hell!” Other voices claiming to be Emma’s father Jacob, as well as his child-murdering concubine Mina, eventually spoke, as well. Some sources say the case of Emma Schmidt was the first and last exorcism officially sanctioned by the Catholic church. While some believe the events are fiction, there are allegedly papal records documenting it. Also, according to an online source, local Earling legend says that claw marks in solid oak doors can still be seen from the woman trying to escape. A Catholic priest MUST seek permission from the local bishop. If he doesn’t, the exorcism probably will not be effective. A very interesting article, thanks. I recently read Hostage to the Devil and, while not Catholic, have no doubt that these entities are real and can and do possess people. That book is well worth a read. Great article! Although the last paragraph has an incorrect detail, as exorcisms were definitely performed by priests of the Catholic Church long before this case and are still performed in the Catholic Church today. A priest is also supposed to seek permission from his bishop, therefore having the exorcism sanctioned by the Church, before he begins the rite. Genuine possessions are very rare, exorcisms are definitely not a common occurrence in the Church, but they are not as rare and unheard of as that last paragraph would make it sound. That is very true. The details of this case tend to be plagued by inaccuracies, from where the woman was from, how and why she was “cursed,” where the exorcism took place (apparently some believe it happened in the church in Earling rather than the convent), and where Father Risesinger is buried. With the exception of the final paragraph, which was included to reveal some of the urban legend that has sprung up around this case, I only included details from the original source (Begone Satan! ), interviews with Father Riesinger printed in 1936, and those verified in the podcast by Frank L. Anderson, who has a much more intimate connection to the story – his office is located in Riesinger’s monastery.